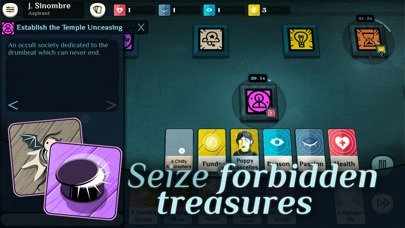 *SEIZE FORBIDDEN TREASURES. 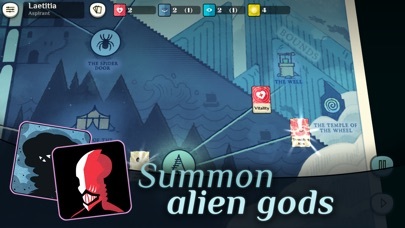 SUMMON ALIEN GODS. 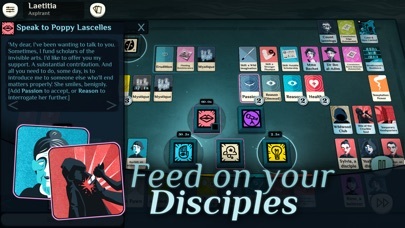 FEED ON YOUR DISCIPLES. 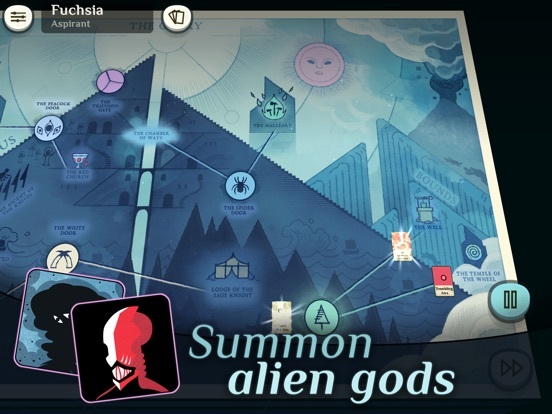 * In this infamous **roguelike narrative card game**, play as a seeker after unholy mysteries in a 1920s-themed setting of **hidden gods and secret histories**. Become a scholar of the unseen arts. 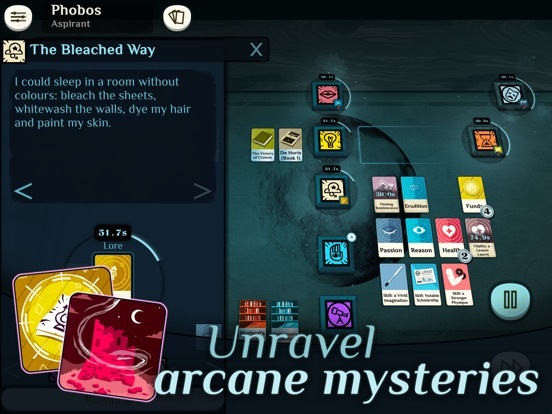 Craft tools and summon spirits. Indoctrinate innocents. Seize your place as the herald of a new age. 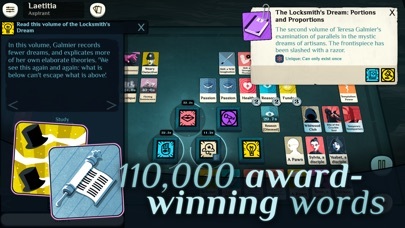 This award-winning game was first released on PC and has more than 200,000 players all over the world. 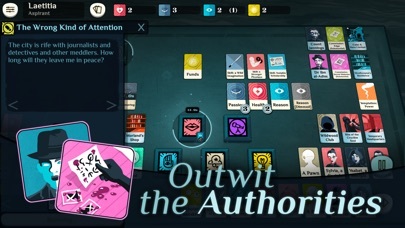 Now we’re bringing the cosmic mysteries of Cultist Simulator to mobile. 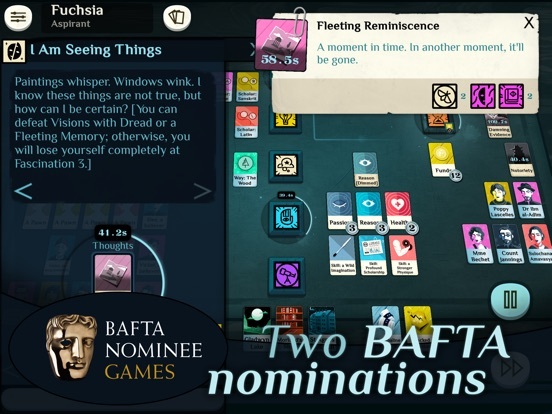 **• Challenging roguelike gameplay** - *There is never only one history. 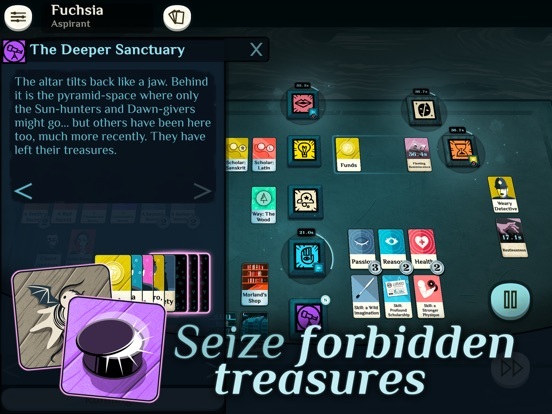 * Cultist Simulator doesn’t hold your hand. 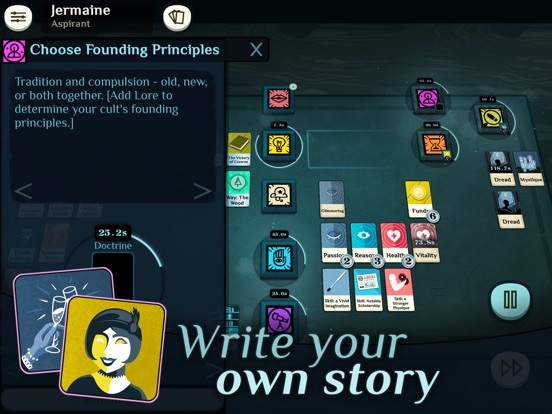 Experiment, expire and transcend death with a story-driven legacy system. Over time you’ll learn enough to wrestle the game to its knees. 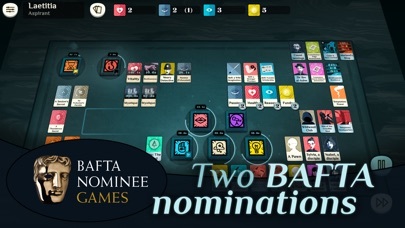 **• Intense, immersive narrative** – *Combine cards to tell your own story. 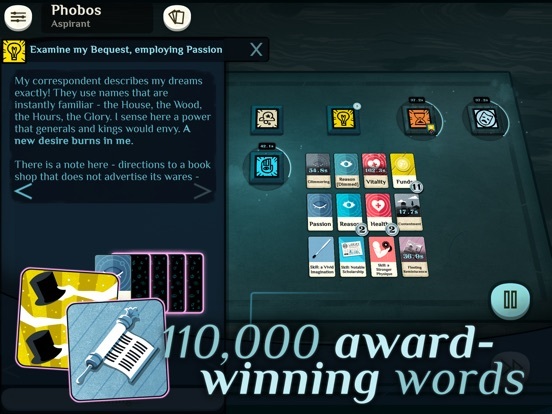 * A hefty novel’s worth of choice-based storytelling, from the creator of Fallen London and Sunless Sea. 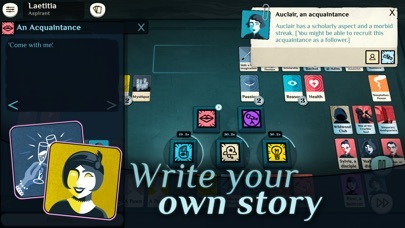 There are many paths through this game of ambition, appetite and abomination, and many ways your tale can end. **• A rich Lovecraftian world** – *Corrupt your friends and consume your enemies. 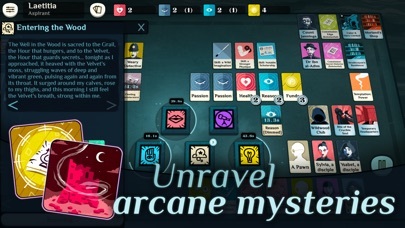 * Search your dreams for sanity-twisting rituals. Translate grimoires and glean their lore. Penetrate the realm of the Hours and win a place in their service. 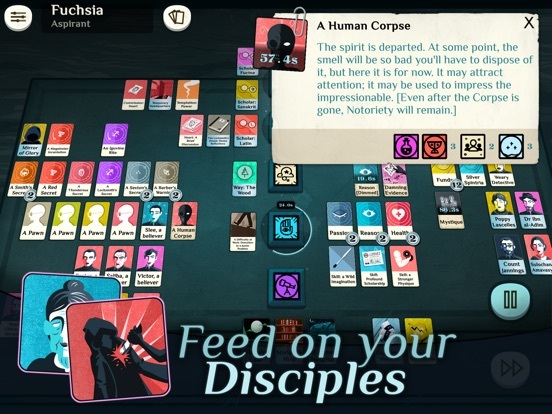 Cultist Simulator brings the peripheral horror of Lovecraft’s tales to an entirely new setting. 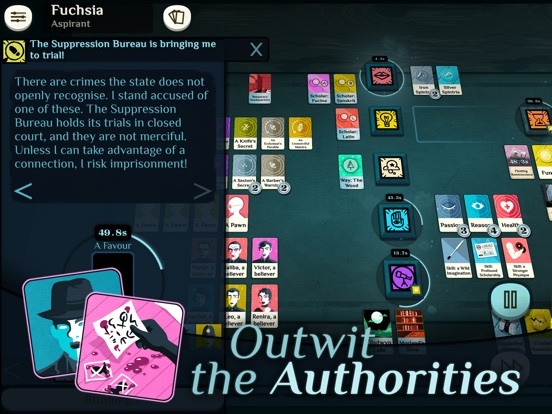 *Cultist Simulator* is available in **English** and **Simplified Chinese**. If you run into a problem, please contact us at **hello@playdigious.com** with as much information as possible on the issue.